Bike Bicycle MTB Sporty Padded Seat. Easy to install,simply place it on the post and tighten the bolts. Seat has a built-in reflector for added safety. Increase the comfort of your bicycle saddle with this soft padded seat. This sporty seat cover is very durable and perfect fit for your bicycle. 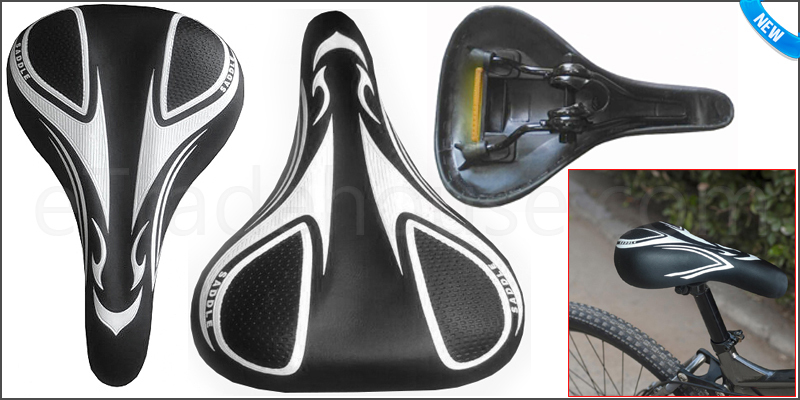 21x Bike Bicycle MTB Sporty Padded Seat .